We're in the thick of summer BBQ season. What do we make when we grill at home or want to take something tasty and foolproof to someone's party? Here are our favorite summer BBQ recipes. And if you're not all that interested in what we're making, skip to the end of this article for some spot-on grilling tips from Chef Marjorie Meek-Bradley, Top Chef alum and creator of the menu at Continental Beer Garden. The old BBQ standby potato salad is a good choice, but it's always a risky food to bring to a sweltering D.C.-area soireé. This version from Rosslyn BID VP for Finance and Administration Santya Lanman is a great alternative because it doesn't use mayonnaise. With thick-cut bacon, fresh spinach and Yukon Gold potatoes, it's delicious and hearty. "It's a bit of extra work because there's a lot of chopping and you have to roast the potatoes, but it's worth it," says Santya. "It's a hit each time I serve it." Get the recipe here. Communications Director Maureen Goldman loves bread, especially baguettes fresh from the oven. 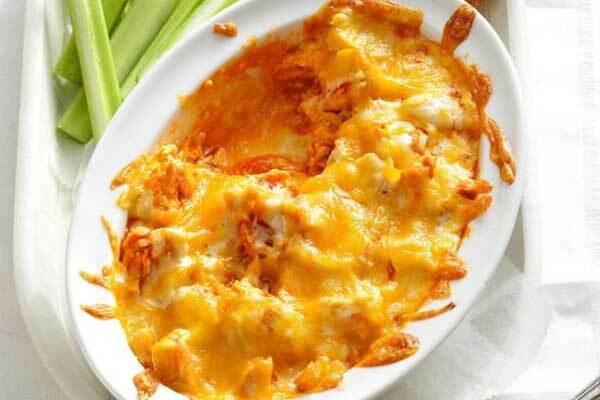 So, it's no surprise that one of her favorite party snacks is a dip that can be served with bread, tortilla chips or celery: buffalo chicken dip! The recipe she uses is super-simple. With two kinds of cheese and ranch salad dressing, it's a rich and decadent treat. If you want to save even more time, use shredded rotisserie chicken and save the rest for lunches during the week. Get the recipe here. 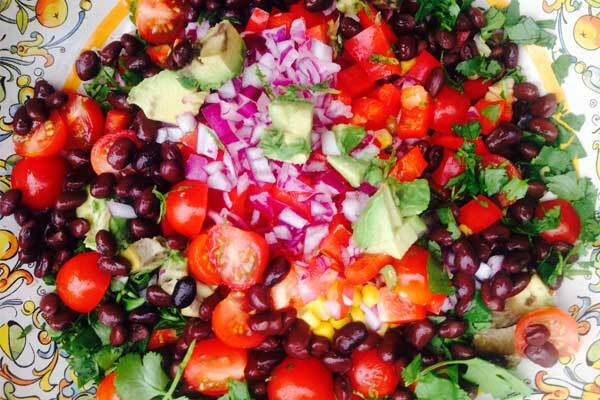 Business Engagement Manager Emma Indingaro has a degree in Nutrition, so her go-to for potlucks is also something good for you: a Caribbean bean salad featuring fresh corn, black beans, cherry tomatoes and avocado. "My mom got me hooked on this when I was younger and now I bring it everywhere. It's a crowd favorite," she says. Emma likes to serve it with Late July lime chips to dip. Get the recipe here. One of Writer Mary Dallao's favorite BBQ recipes is something she scrawled on a napkin years ago as it was dictated to her by a former colleague: a Jamaican carrot salad. It's filled with flavor but includes just four ingredients. There is no online recipe for it so here it is: 1). Cover a half-cup raisins (or more if you like raisins) with orange juice and soak until they get plump. 2). 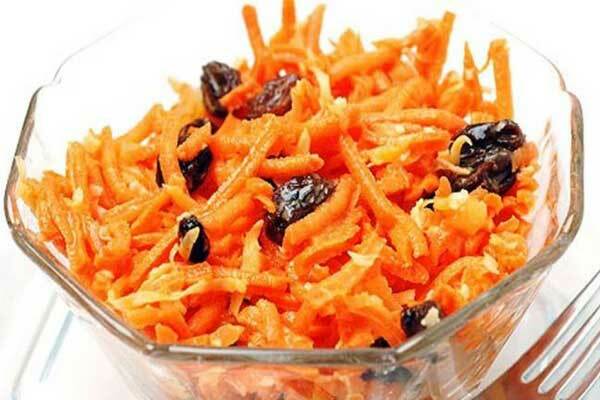 Peel and grate a pound of carrots. 3). Peel and julienne two pieces of ginger the size of your thumb (or more to taste). 4). Combine all ingredients and mix. Refrigerate for a few hours, if possible, to allow the flavors to blend. Communications Specialist Justin Bensan is proud of his Filipino heritage and this family recipe for chicken adobo, which he's brought in for team lunches, much to our great enjoyment! 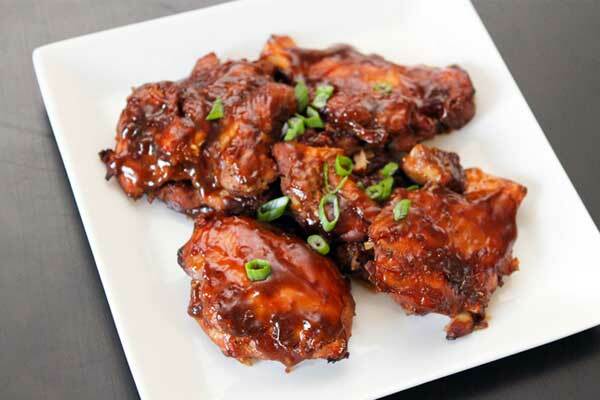 To prepare, marinate two pounds bone-in chicken thighs for four hours in 1 c soy sauce, 1/2 c white vinegar, whole, peeled garlic cloves (to taste), 1 whole onion, 1 T black pepper, 2 bay leaves and 1 c pineapple (optional). Experiment with proportions to suit your taste. Grill until thighs reach an internal temperature of 165 degrees or cook on low in a crockpot for eight hours. A Georgia native, Administrative Assistant PJ Sagan loves biscuits. 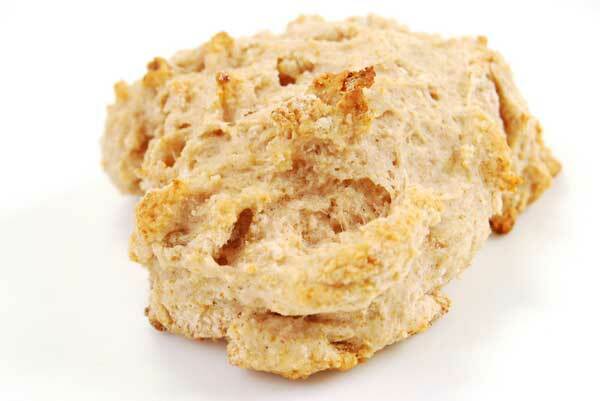 He shared his own recipe for drop biscuits, which make a great side for any grilled meat or fish: 1). Combine 2 c all-purpose flour, 2 1/2 t baking powder, 1/2 t salt and 1 T sugar in a bowl. 2). Cut in 1/2 c cold, diced butter with a knife or pastry blender until mixture resembles coarse crumbs. Add 1/4 c whole milk, a little at a time, stirring lightly between additions. 3). Drop batter by spoonfuls onto a cookie sheet. Bake at 450 degrees for 12-15 minutes or until the tops are golden. For many of us, making fruit salad involves cutting up a bunch of fruit and throwing it in a bowl—and there's nothing wrong with that! 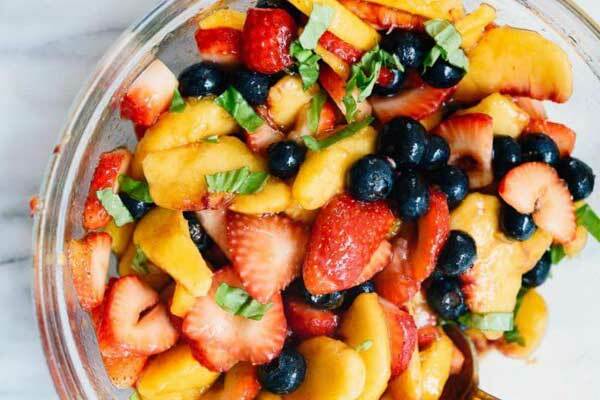 But Rosslyn Associate Kesi Lumumba loves taking it up a notch with this refreshing fruit salad drizzled with lemon juice, balsamic vinegar and honey. It takes advantage of delicious ripe summer peaches. Kesi likes using both yellow and white peaches to make the dish even more attractive. Get the recipe here. If you need to do some shopping to make these dishes, remember that you can get fresh, locally grown produce every Wednesday afternoon from 2:30-6:30 p.m. at the FRESHFARM Rosslyn Farmers Market on Central Place Plaza, just across from the Rosslyn Metro. You can even purchase fresh meats there, too, which are raised without hormones and antibiotics. A good marinade she uses when she grills chicken or pork at home: Greek yogurt mixed with spices of your choice. 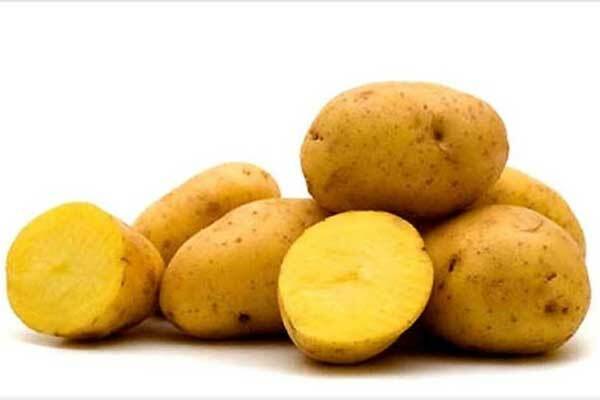 You'll want to thin it with a bit of lemon juice or orange juice. If you aren't sure what spices to use, she recommends just mixing a seasoning blend into the yogurt/juice mixture. Marinate for at least an hour or even overnight. You can also add in chopped fresh herbs and chopped garlic. Read more of her thoughts on grilling and pairing food and beer here. Oh and one last thing: If you have any good BBQ recipes you'd like to share, send them our way and we'll add them to this list! Email rosslynbid@rosslynva.org or reach out on Facebook, Twitter or Instagram! Happy Summer!